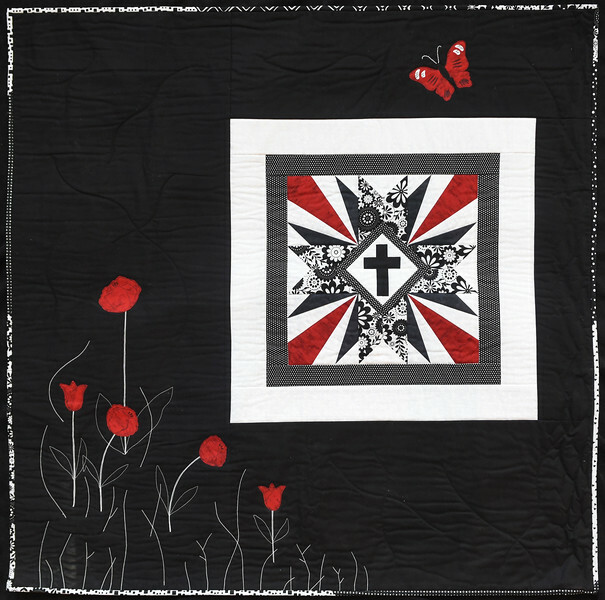 This quilt received second place in the Viewer's Choice contest. The rebirth of tulips each spring and the transformation of butterflies always amaze me. These, along with the paper pieced block, all represent to me how we who believe will be resurrected and transformed because of Jesus' death on the cross. The block looks to me like bursting forth from death.